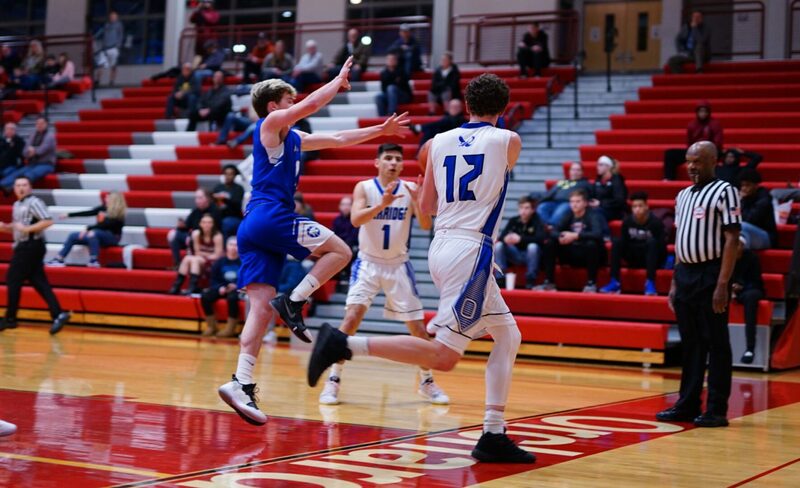 The Eagles’ senior forward scored 12 fourth quarter points, helping his team open up a close game, pull away from Montague and capture a 62-49 victory on Monday on the opening night of the Division 2 district tournament at Orchard View High School. Oakridge, which improved to 12-9, advances to face Spring Lake in the district semifinals Wednesday at OV at 7:30 p.m. 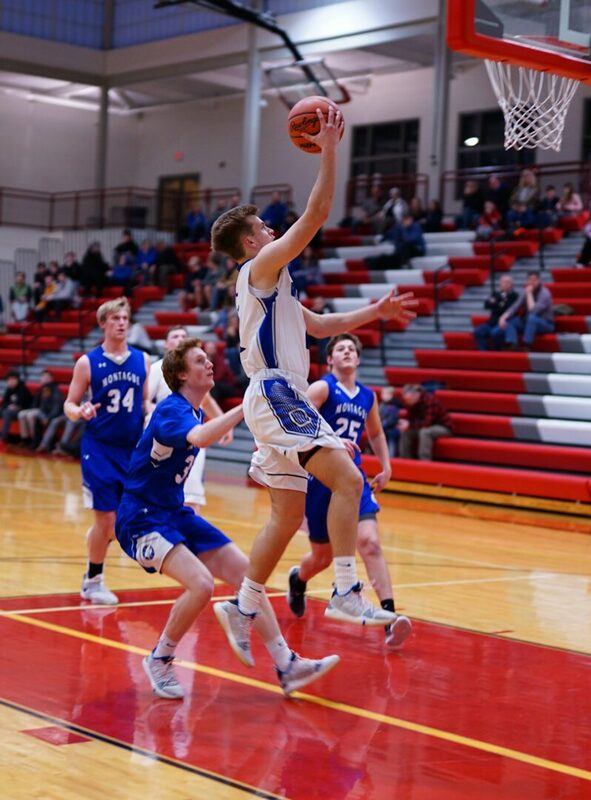 In a back-and-forth first quarter, Montague took a 16-12 lead behind Hunter Mosher’s six points and seven rebounds. 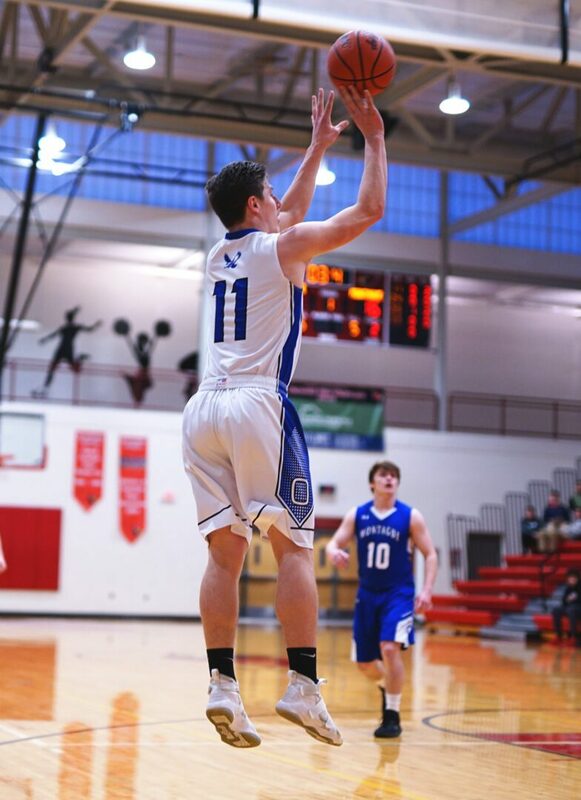 Oakridge’s Tanner Karel kept his team close, scoring eight of his team’s 12 points. Jaxon Fri sparked the Eagles in the second quarter, scoring all eight of his points as Oakridge outscored the Wildcats 19-9 to take a 31-25 lead into halftime. Oakridge built its lead to 37-27 early in the third quarter, before Montague went on a 12-5 run to pull within 42-39 at the third buzzer. But that’s as close as Montague could get, because T.J. Ruel hit his first 3-point attempt, then made another. Then he finished off Montague’s season by hitting 6 of 6 from the free throw line, including four in the final two minutes. Oakridge finished the game with a 9-2 run. The Eagles totaled eight 3-pointers in the game and were 12-for-17 from the free throw line. Ruel finished with 18 points, six rebounds and two blocked shots, Karel scored 12 points and had five assists, and Peyton Young had 11 points and six rebounds. Mosher led the Wildcats with 17 points and 11 rebounds, and Sebastian Archer and Kenyan Johnston finished with seven points apiece. Montague finished the season with a 10-11 record.